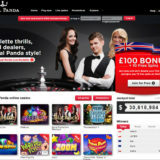 Leo Vegas Xmas Live Roulette Giveaway - £20k weekly prize fund. 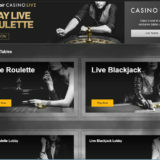 Leo Vegas in conjunction with Netent are running a Live Roulette promotion on the Netent Xmas Live Roulette table until the 18th December. The difference with this promotion is that Leo Vegas are matching the Netent promotion with their own prize fund. Leo Vegas players will take part in two draws instead of the normal one, with double the chance of winning a cash prize. The promotion runs between 13.00 Monday 28th November 2016 until 01.00 Sunday 18th December 2016. The NetEnt Christmas Live Roulette promotional table is open daily from 13.00 until 01.00. Week 1: 13:00 Monday 28th November until 01:00 Monday 5th December 2016. Week 2: 13:00 Monday 5th December until 01:00 Monday 12th December 2016. Week 3: 13:00 Monday 12th December until 01:00 Monday 19th December 2016. Every player that completes 10 game rounds on the NetEnt Christmas Live Roulette table will automatically be awarded a ticket into the random cash prize draw. Players can earn a maximum of 50 tickets into the draw per day. 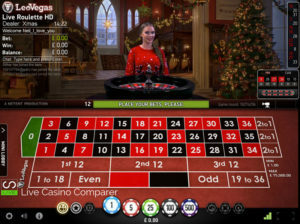 A qualifying game round for the purposes of the promotion is defined only as a real money wager that covers less than 70% of the possible outcomes on the roulette wheel. Both real and bonus money wagers will apply to earn tickets. Cash prizes will be put into player LeoVegas accounts without any wagering requirements within 48 hours of the promotional period ending. Each week there will be two draws performed. One draw will be carried out by Leo Vegas for Leo Vegas players only. 100 tickets will be drawn at random and those tickets will share £10,000 between them. Making that £100 a winning ticket. 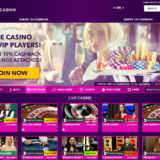 One draw will be carried out by NetEnt for players from all their qualifying casino. 100 tickets will be drawn and those winners will share the £10,000 between them. Again that £100 per winning ticket.